SPECIAL DEAL - Usually 5.95, today just 3.95 - Save £2!! Aubretia Dr Mules is a fantastic variegated form of carpeting hardy plant that forms small mounds or blankets that become smothered with comparatively large flowers of rose-purple through April and May. It will reach just 5-8cms tall, but spread up to 60cms wide. 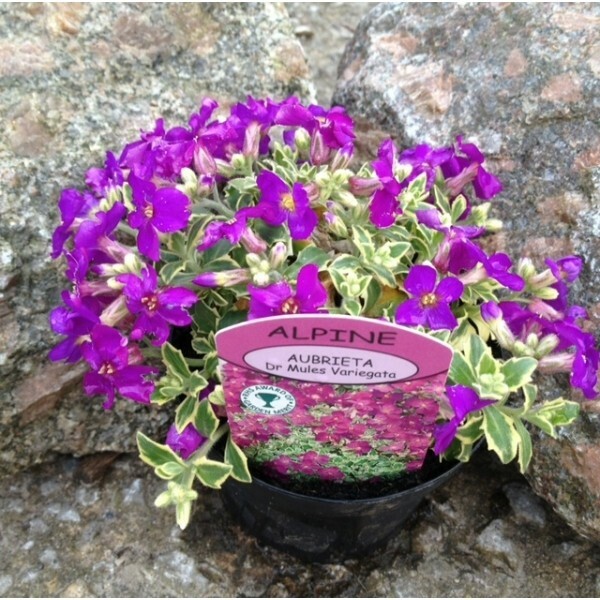 Ideal for rock gardens and containers, for trailing down walls, as ground cover on sunny banks or at the front of mixed or herbaceous borders. 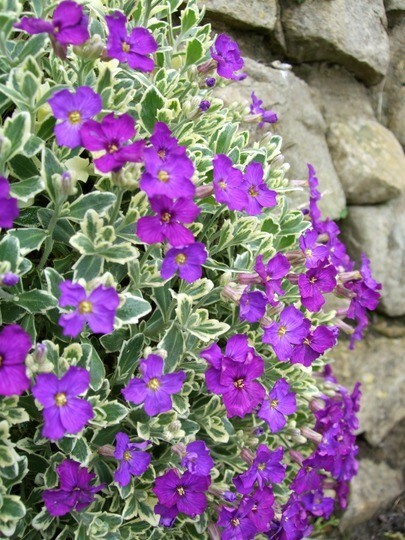 Aubretia thrive in any reasonable, well-drained soil, and need very little maintenance, just cut back hard after flowering for a neat evergreen mound. Plants supplied in approx. 1 litre containers, and covered in buds and flowers in season.